Attempt to open PowerPack via lighting bolt icon as usual. 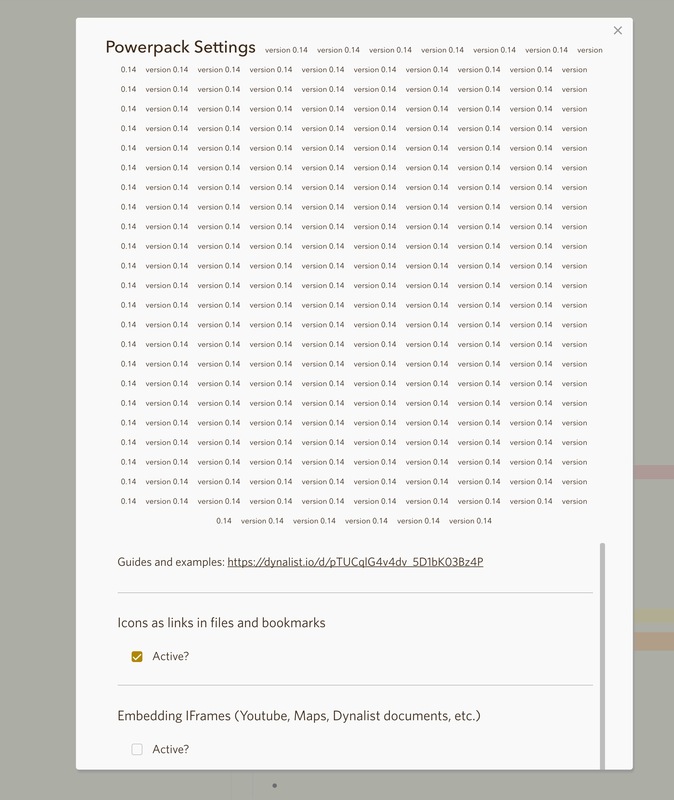 See screenshot, the 0.14 lines just keep on churning down the page. Which is weird because I am sure I am at version two since it first became available. Mac OS latest, Dynalist latest, Opera latest version 46.0.2597.46 stable. Things working normally under chrome. Could you please post PowerPack issues to its own category next time? That way Piotr can more easily easily (he gets a notification). Also because the bug category is intended to be a place to report bugs of Dynalist itself.